Functional raw dark handmade chocolate | mcePharma s.r.o. - Czech company operating worldwide, developing, producing and selling unique food supplements, pet supplements and cosmetics - mcePharma. Our functional chocolates are typical by high nutritional value and functional benefits thanks to adding natural active substances. 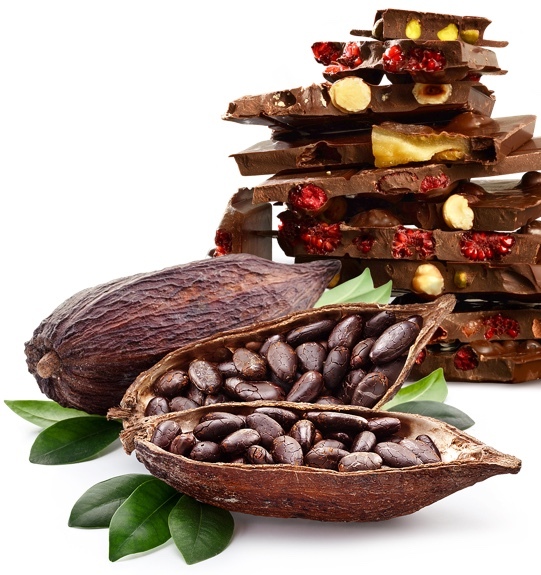 It brings the pleasure of high quality, delicious and healthy chocolate to the consumers. Roasting of cocoa beans causes the loss of many healthy substances because of their sensitivity to high temperature. In our production process we use unroasted cocoa beans which are carefully sorted and cleaned. Hand made collection of functional chocolates is produced by our sister company VITALO manufaktura Ltd., located in the Czech Republic. What is typical for our chocolates?